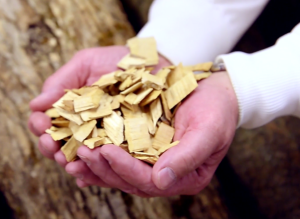 The SUNY-ESF Biofuels Pilot Plant at SyracuseCoE represents a key facility in the production of next generation bio-based fuels derived from renewable resources such as locally grown woody feedstocks including planation-grown willow, switchgrass, and forest-based biomass. The Pilot Plant will initially include a 1000L Fermenter in which microorganisms will convert wood-based sugars to fuels such as ethanol and butanol. In addition, these sugars can be utilized by certain algae, grown heterotropically (without sunlight), to produce bio-oils suitable for conversion to biodiesel fuel. The Pilot Plant also includes a 30 gallon per hour Distillation Column to distill the biofuels produced in the Fermenter to high purity fuels suitable for testing in actual engines.